Electronic Arts is essentially skipping E3 this year, pulling out of the trade show in favor of their own events in Los Angeles and London that will be open to the public. 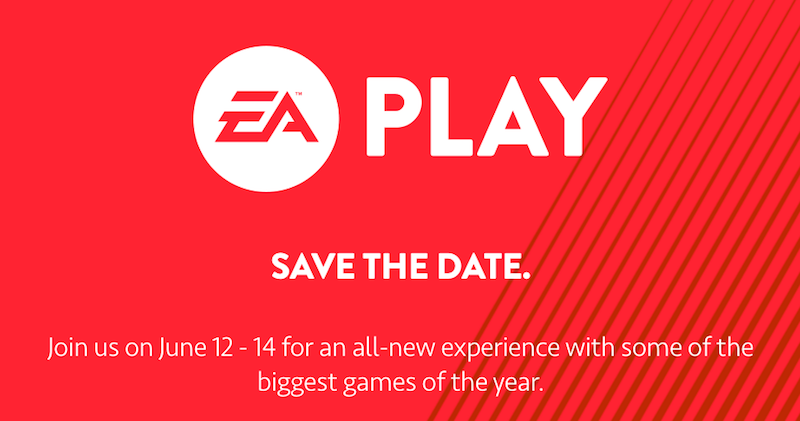 Rather than hosting an E3 press conference and putting up a big flashy booth for trade show attendees, the publisher will hold an event called EA Play that will run from June 12 to June 14 at Club Nokia in Los Angeles. They also plan to hold a one-day event on June 12 at The Mermaid Event Center in London. Anyone who wants to attend either event can sign up for more information on their website. EA still plans to hold a presser, they say—and it’s likely we’ll see news and trailers for much-hyped games like Mass Effect Andromeda and the Visceral-developed Star Wars—but instead of their traditional spot on Monday afternoon before E3, they’re going to hold this press conference on Sunday, at EA Play. The publisher says they’ll be taking private meetings at E3, but they’ve released their booth, which has traditionally been the first thing attendees see when they walk into the South Hall. E3 will look a lot less sporty this year, that’s for sure.